There are times when we wander aimlessly, not really sure what we are looking for, yet we continue with our search. Until we almost give up. Such was the feeling engulfing us, as we sat down by the side of the road, in front of Odeon. We had spent the last hour, exploring Connaught Place’s inner and outer circle, and yet, hadn’t found a single place we wanted to go in. Then again, we weren’t all that hungry, having already eaten a little at Kebab Xpress and had a delicious Strawberry and Banana shake at Johnny Rocket. Yet, we weren’t done for the night and yet, the allure of cozy bed at home, almost made us abandon our search. Tired and somewhat frustrated, we contemplated for a few minutes between Odeon Social, Café MRP and Smoke House Deli. 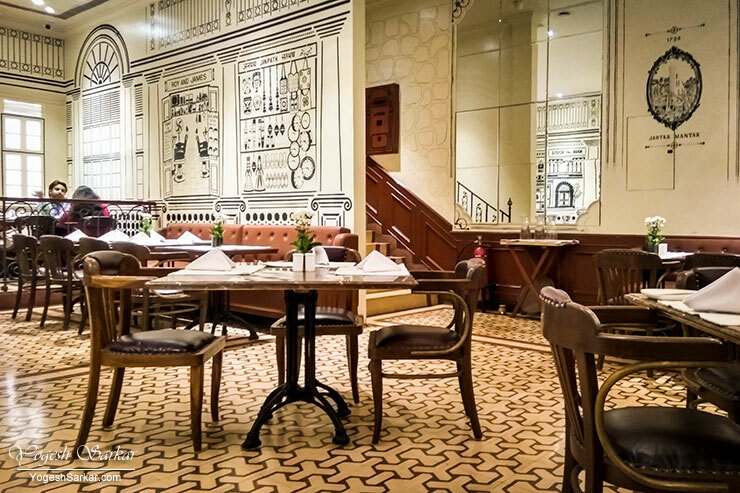 In the world of bling and loud music, the prospect of fine and quiet dining seemed like a breath of fresh air and just the thing, two tired souls needed. Interesting décor, light background music and a handful of other patrons. Finally, a conversation over dinner seemed possible and effortless. Since we weren’t all that hungry, we ordered veg Fusilli with Garlic Cream Sauce along with Corn on the Cob. 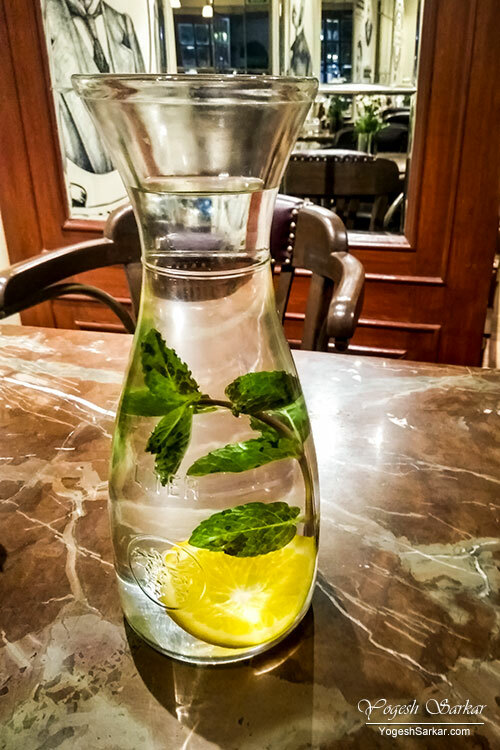 No bottled water tonight, as the normal water they were serving was flavored, and it not only looked inviting but also, tasted refreshing. 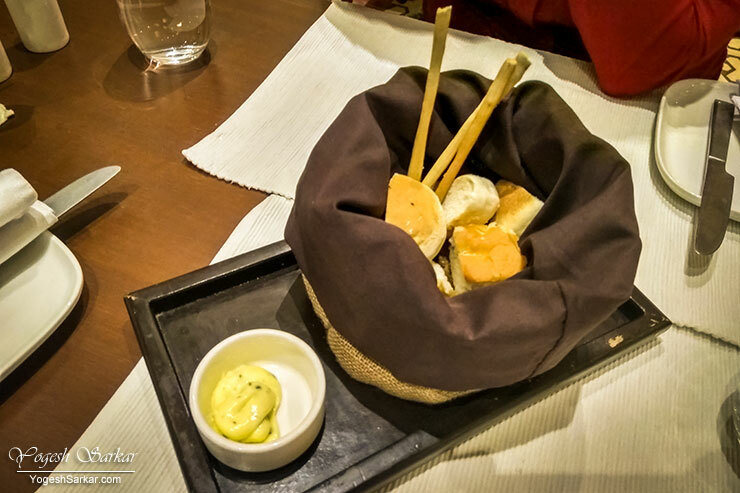 Before our orders were brought out, a complimentary bread basket was served. And that went well with conversation, as we munched through bread sticks, while our pasta was being prepared. Unfortunately, corn on the cob we had ordered, fell en route to our table. 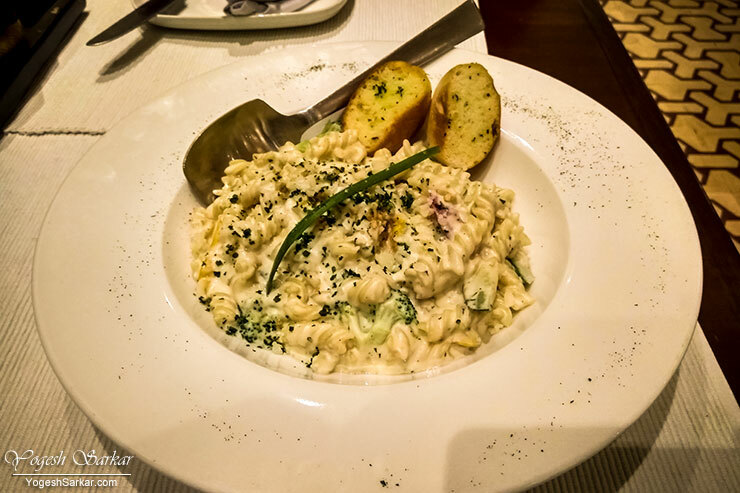 So it was promptly removed and we were first served veg Fusilli with Garlic Cream Sauce. It was cooked just right, though for our Indian taste buds, needed a dash of oregano to taste right. The real surprise was corn on the cob. I am not sure exactly what we thought when we were ordering it. However, it was actually just corn. 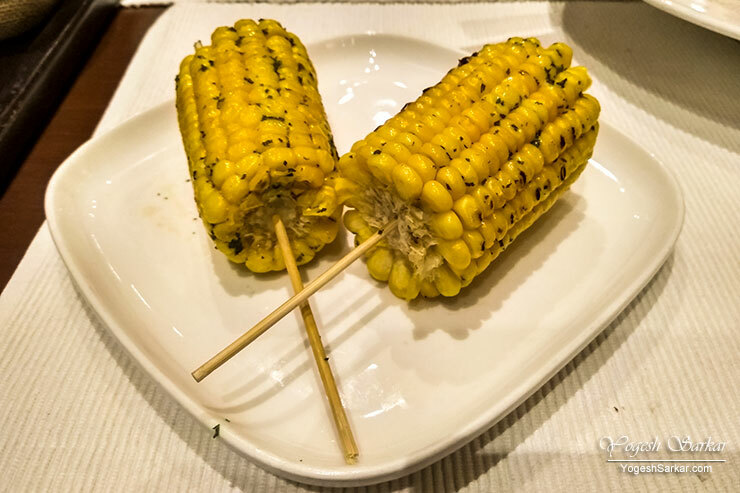 Just a week or so ago, we were laughing at a lady eating corn at a decent restaurant. Wondering, who orders bhutta at a good restaurant? Yet, here we were, doing the same. Only this time, laughing at ourselves. I guess this was karma, mocking us for laughing at someone else. For Rs. 125 + taxes, it was an expensive lesson (considering the cost of bhutta at roadside) that neither of us would forget for a long time. 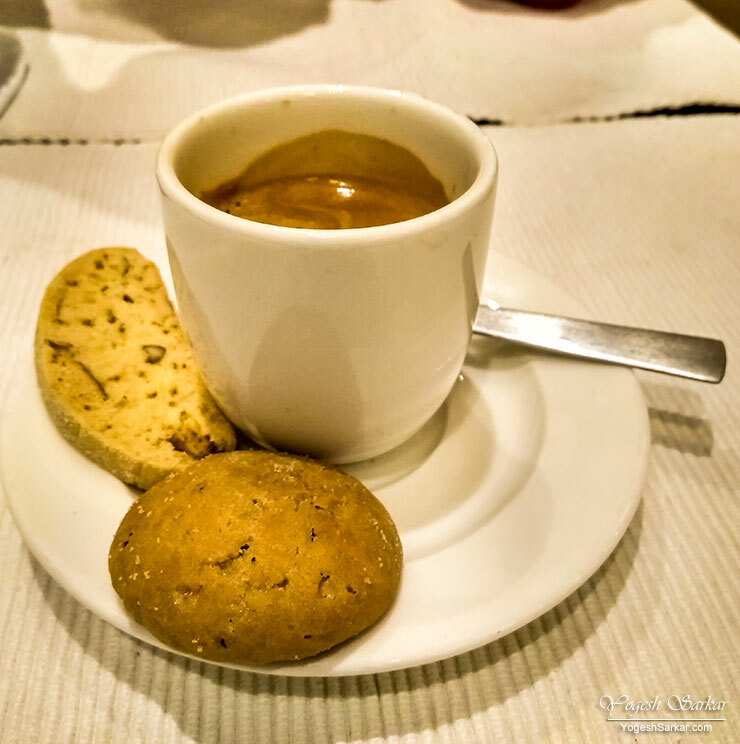 Anyways, to finish off the delicious dinner, I ordered an espresso. At Rs. 85 + taxes (almost the same as Café Coffee Day), it came with 2 cookies and was pretty darn good, as it kept me wide awake till late at night. A review wouldn’t be a review, if I didn’t mention negative points I found about Smoke House Deli CP. 1. There is a single common washroom. This means in case the restaurant is full, you can end up in a long queue since it is a large restaurant. 2. Smoke House Deli CP does not serve any alcohol. While this was fine for us, this would be a deal breaker for many. Overall, we had a great dining experience at Smoke House Deli in CP and the total bill inclusive of all taxes and service charge stood at R.s 769 (Corn on the Cob, Fusilli N Cream Sauce, and Espresso). Which isn’t much, considering the quantity of pasta and the fact that they had also served a bread basket.